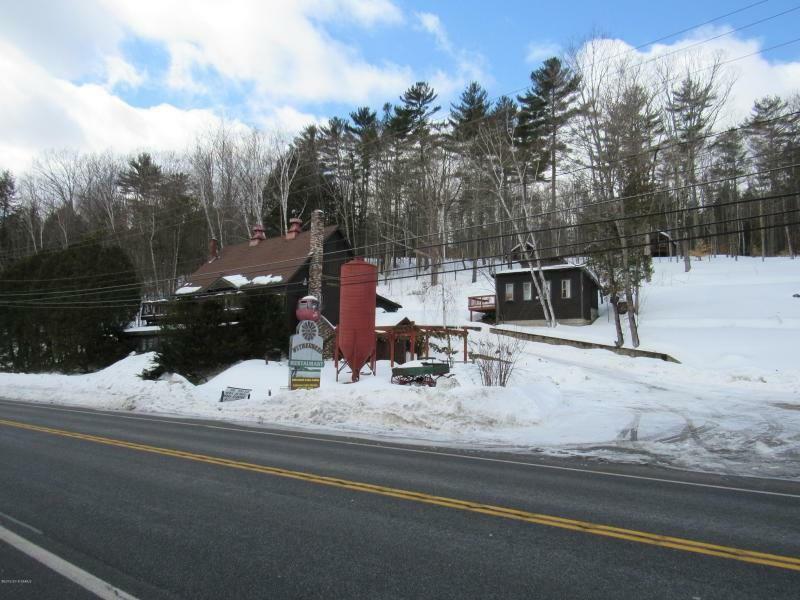 Landmark Restaurant in operation for over 50 years across from Schroon Lake.Building is currently used as a restaurant but could be farm and garden, general store, brewery, brew pub, deli and caf'..... The possibilities are endless. Valid OP liquor license. Price includes furnishings and inventory.... Completely turn key. Features attractive bar/pub with fireplace that seats 100+/-. also outdoor deck with filtered view of the lake. 2 outbuildings: one has bedrooms, bath & kitchenette. the 2nd has storage & workshop. Ample parking. Access to snowmobile trails.